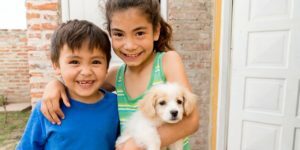 Home » volunteer » Volunteer and Change Someone’s Life – It Could be Yours! Volunteer and Change Someone’s Life – It Could be Yours! 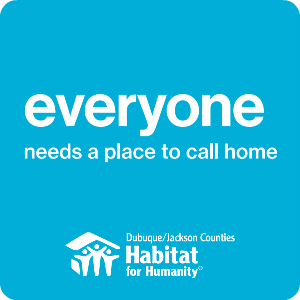 Anyone who can hold a hammer or a bucket or a paintbrush is welcome to the work of Habitat for Humanity. The “muscle” volunteers provide means homes can be built at considerably lower costs. for partner families who see that there are “outsiders” who care enough to help them break the cycle of poverty. Build teams come from within a city or a county. Business corporations, churches, schools and colleges, civic groups and other organizations organize and send teams. Some teams are open to anyone who wishes to join. Sometimes specialist teams of experienced builders are recruited to help in the building. 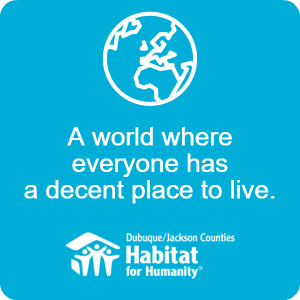 Volunteering with Habitat for Humanity offers the opportunity to work hand-in-hand with other people around your community to help build simple, decent homes. Volunteers build alongside homeowner families who invest their own labor into building their home and those of their neighbors. © Habitat for Humanity | Dubuque & Jackson Counties. Website designed & hosted by iPlatformance.